When living in one of the countries that experiences hot weather all year long, we owe our comfort of life to air conditioners. Offices, malls, homes, they are found everywhere. So, how do you maintain your air conditioners when you rely on them so much, especially on days or months where temperature hit 37 degree Celsius? Air conditioners aren’t really cheap to install to start with. Thus, it is fairly important that you make sure it is worth every penny. The easiest way to maintain it is to have regular servicing, just like your vehicles. Many have the misconception that their air conditioners do not need servicing because they are still functioning okay and they try to save up from there. But little did they know, they might be actually spending more on the electricity bills than they are supposed to as inefficient air conditioners tend to consume more energy. 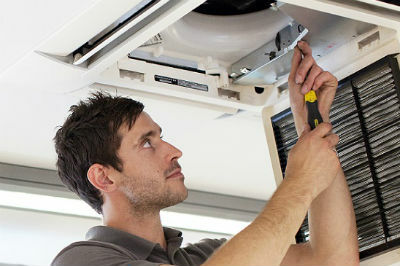 When you have the technicians over, make sure to have them check whether or not your air conditioner needs gas top up. 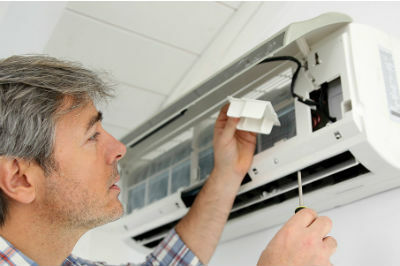 This is something that even those who have their air conditioners serviced on a regular basis miss out because this step is often deemed to be unnecessary. A lot of people also assumed that it ia going to be another additional cost to the service that they are already paying for. 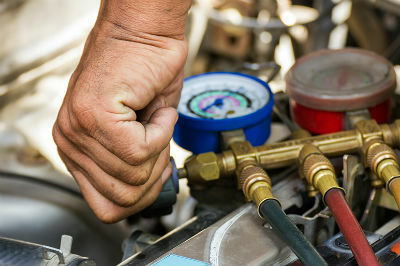 Truth is, most air conditioner services have gas top up in their package, just like ours at Aircon Xpert Singapore and this step is just as important as the others. So, how do you know when to top up the gas in your air conditioner? 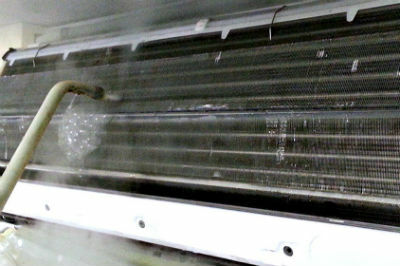 To spot a lack of gas in your air conditioner, it is as simple as spotting leakage from your air conditioner. But most of time, a leakage from the air conditioner is always being ignored. “Aiya, aircon used for long time already will leak one, very normal.” “Aircon too cold, that’s why leaking.” Does this sound all so familiar? 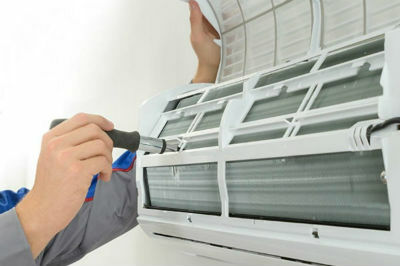 Most household and even offices face air conditioner leakage problem. Their solution? Put a bucket underneath to collect water, so people do not trip and fall. What about the money which is slowly slipping away too? When the gas is at low level, this will lead to the freezing of the air conditioner’s evaporator coil. Over time, this part would require replacement or repair. 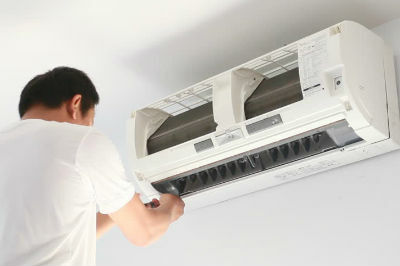 In serious cases, you might need to replace the whole air conditioner system. The refrigerant gas, Freon is actually used to cool down the compressor of the air conditioner which would otherwise overheat and break down. 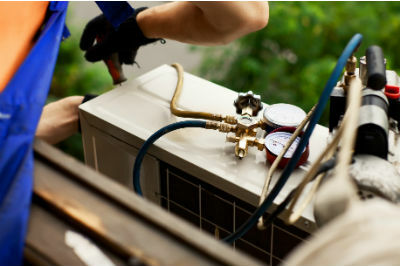 Of course, the gas top up does not have to be done every single time when you get your air conditioner serviced. They only need to be refilled when they are running low or when there is a leakage. As Freon can be hazardous when being exposed to the environment, it is good to have your technician check for leakage during every service. Even though there are ways where you can learn how to top up the gas for your air conditioner, it is still advisable to leave the job to the expert. What you are dealing with is more than just the mechanism. In fact, you are dealing with currents and hazardous gas. Leave it to us. 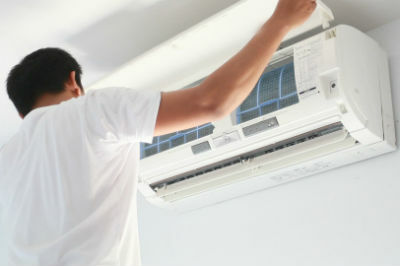 We the Aircon Xpert Singapore consists of a team of professionals ready at your service. Just give us a call or drop us an email to schedule an appointment.